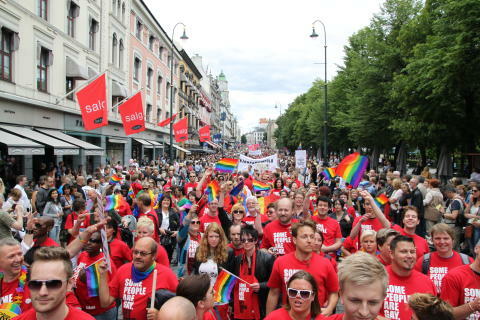 From the Oslo Pride Parade 2011 - here on the main street of Oslo, Karl Johans Gata. Sikkeland represents the owner of Oslo Pride, LLH Oslo and Akershus, the local branch of the Norwegian LGBT organisation. Commitment and participation by the police during EuroPride. Today the EuroPass is launched for sale. 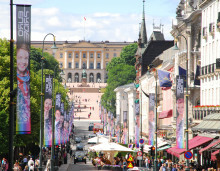 Oslo Pride, the organizers of EuroPride 2014, in cooperation with the city tourist board, VisitOSLO, has made the EuroPass to make the stay of our international guest as affordable and comfortable as possible. Oslo Pride lüftet nun den Schleier und zeigt wie das EuroPride Veranstaltungsprogramm präsentiert werden soll. 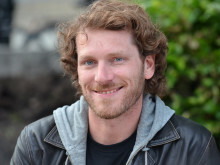 Vom 20. bis zum 29. Juni sollen Schwule und Lesben aus ganz Europa in Oslo demonstrieren. Nun ist die Website für den Europride 2014 online. Streets of Oslo, starts in the district of Grønland.